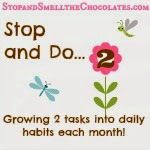 Stop and Smell the Chocolates: Woo Hoo - Another Paperspring Giveaway! Woo Hoo - Another Paperspring Giveaway! And remember that my U.S. readers still get a 15% discount on their products until the end of the year (use code "stop4C15")! Right now there's an unadvertised Paperspring Friends & Family Holiday Event - you can get 25% off your order (and they always have free shipping!) through November 15th! Just in time to order some Christmas photo cards or personalized stationary for a gift! Just use promo code "psfriend" to take advantage of this great offer. What could be better than that? Why, a giveaway of course! Paperspring.com has very generously offered to give one of my U.S. readers $60 credit to use on Paperspring products!! Wow - thanks Paperspring! To enter, click on over to Paperspring.com and look around. Come back here and leave a comment telling me what you would use the $60 for or what your favorite holiday photo card is. To earn one additional entry, follow paperspring on twitter and/or facebook (or tell me if you already do) and leave me a separate comment about it. The giveaway is open through 10PM PST Sunday night, November 15th. One random winner will be chosen from the comments and announced on Monday. Enjoy a discount and get a headstart on your Christmas cards thanks to Paperspring.com! Don't forget to enter the giveaway! Have a great Thursday and I'll see you back here tomorrow for Chocolate Friday! 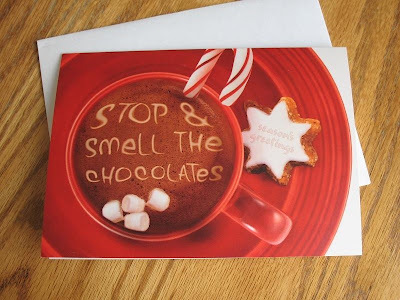 I really like the Hot Cocoa card. It's so cute. I'd probably pick that and the Snowman photo card. Big I better win soon or I'm going to have to start making my own cards size hugs to you. 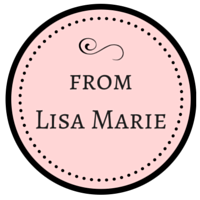 what a fabulous giveaway Lisa...thanks...I think that I would stock up on personalized stationary.. I, too, prefer Merry Christmas instead of Happy Holidays. Love the cards. The black and white ones are so elegant. I follow you on twitter! Thanks for the giveaway!I'm bound to win something one of these days! ooooooo, I hope I get picked! I didn't even look at your faves and went straight to the site. i too love the JOY blocks but I also love Cranberry gingerbread. Seriously it'd be hard to pick, love em all! Tweeted it, followed them on Twitter and follow u already. Yeah, I really wanna win! Do i get an extra entry for following them on Facebook??!!! LOL! I'd choose the winter berries: green design for our family holiday cards. Love the new look! I've not had internet for A WHOLE WEEK! I've missed you! I really like the "DNA Holiday Objects" cards. I would definitely use it to buy our wedding invitations. We just got engaged last week and are looking at a February date, so we are looking for quick deals wherever we can find them! 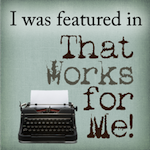 Thanks for the link - it looks like they may have some great stuff for us to take a look at!! Yay for Twitter ... just found them and clicked "follow" ... now, how do I find you? The personalization cards are so clever. I love the "Holiday Objects," and the "Holiday Islands"--perfect for Florida! I love the Snow Letters Digital Name Art! Following paperspring on Twitter (@analisa_roche). Fanned paperspring on Facebook (Analisa Roche).